There are a ton of different types of collectors out there. 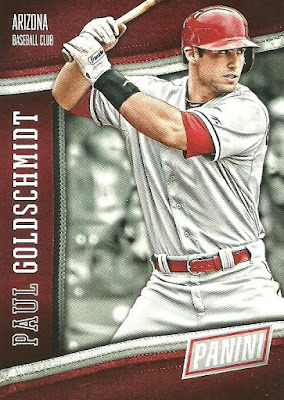 The team collector, the set collector, the player collector; just to name a few. Most people focus on one particular area. I have a problem. I collect everything. 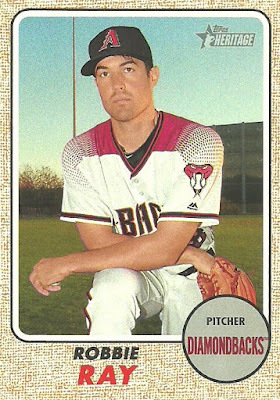 I collect anything and everything D-backs. 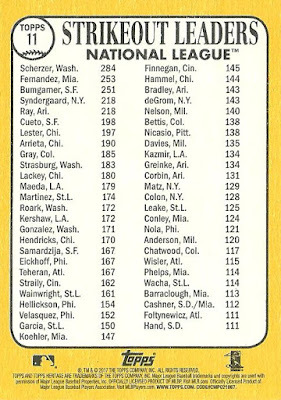 I'm trying to collect every Topps set from 1981 to present. I am a Ryan Roberts super collector and collect Paul Goldschmidt and Brandon Webb along with Ken Griffey Jr. and Mike Piazza and a plethora or other players on a much smaller level. I also love 1990's inserts, autographed baseballs, Hall of Famers, bobble heads, ttm (through the mail) autographs among other things. I love it but it's also frustrating because I only have a certain amount of money to spend and limited amount of display and storage space, so while I have a lot of stuff I often feel like the quality of my collection suffers. One blogger who I admire for his collecting focus is Brian, of the blog Collecting Cutch. Brian has the...most..AMAZING...Andrew McCutchen...collection...EVER. 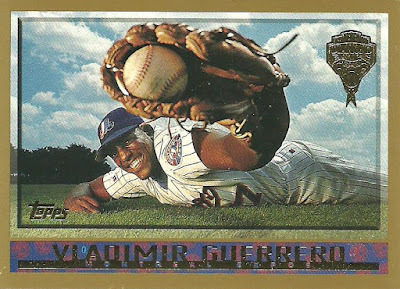 He posts JAW DROPPING cards of Cutch almost every day. He's holding a contest and mentioned that if you pimped his contest he would send you some cards. I did just that and in doing so, I apparently became a pimp. He actually thanked me the same way on his blog and when I read it, it made me laugh out loud. Something about it just struck me as supper funny. Check out some of the sweet cards that Brian sent me just for being a pimp. 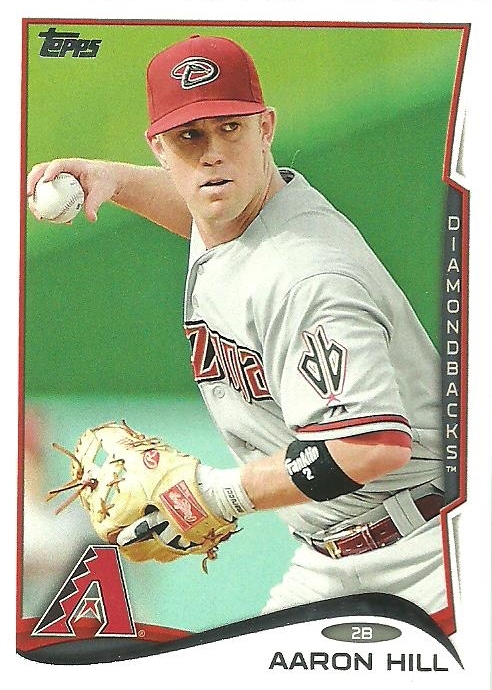 I needed this Aaron Hill card for my 2014 Topps D-Backs team set. 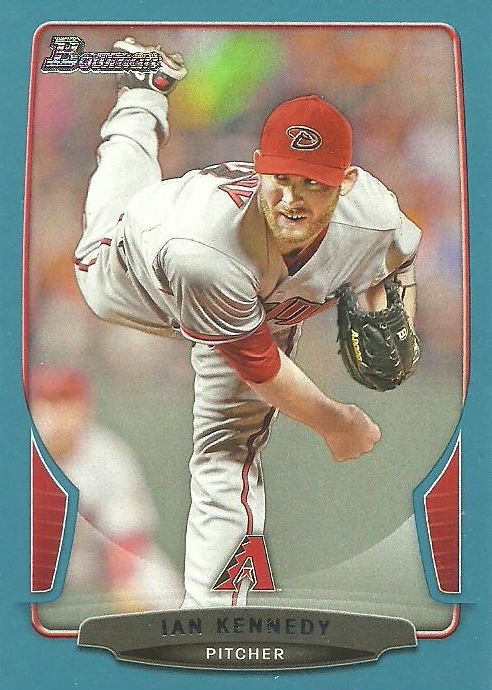 This Ian Kennedy blue parallel is numbered out of 500. 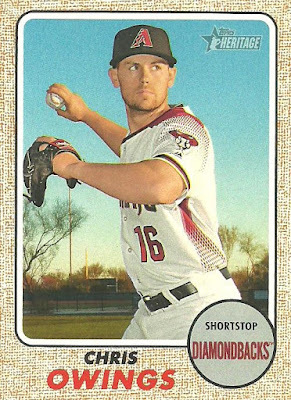 These Sega Card GEN cards of Miguel Montero and Wade Miley are really cool. You don't see these very often as they are an Asian exclusive. The only other ones I have came courtesy of a Zippy Zapping. Brian included some 2017 Topps. 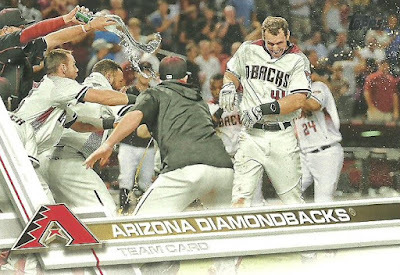 I love seeing this team card since it obviously depicts a Paul Goldschmidt walk-off celebration! 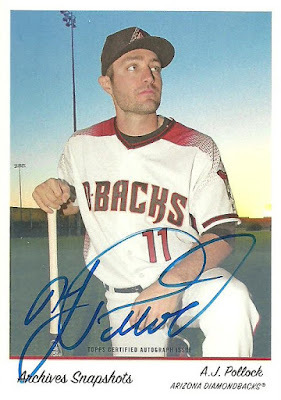 Last, but not least is a sweet Archives autograph of A.J. Pollock. A.J. 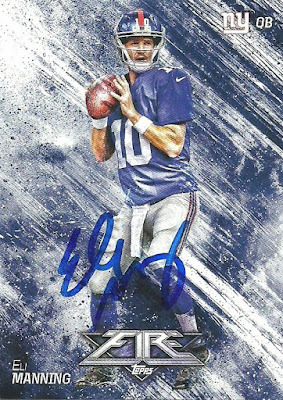 has such a great looking signature! 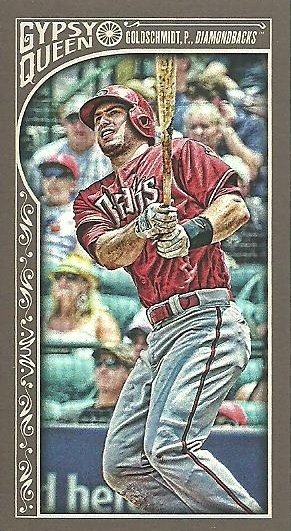 Thank you so much for the awesome D-Backs cards Brian! Only one TTM autograph this past week. It's a good one though. 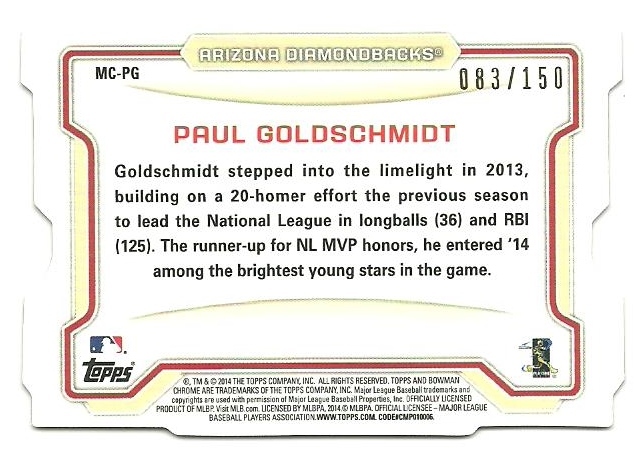 This card came from a dime box at my LCS and I sent it out on 1/26 and got it back on 3/10. 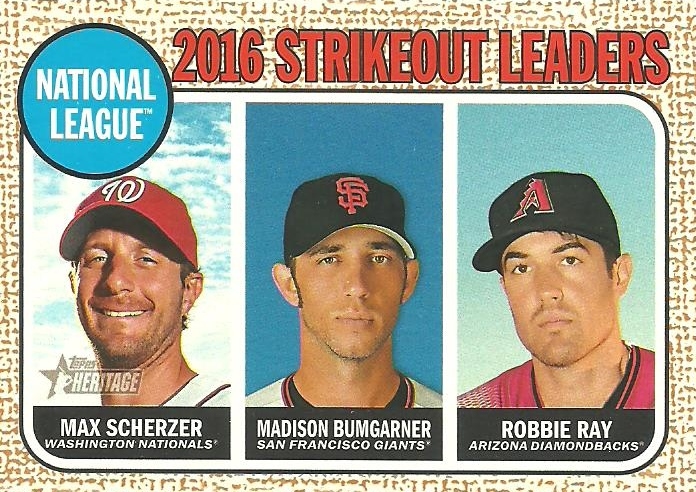 Check out this 2017 Heritage National League 2016 Strikeout Leaders card featuring Max Scherzer, Madison Bumgarner, and Arizona Diamondback Robbie Ray. 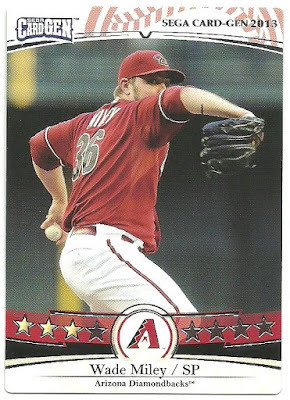 Turning the card over you can see that Ray is the 5th name on the list. 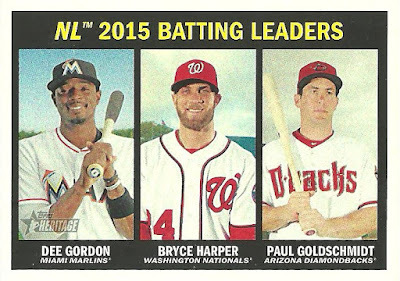 Scherzer led the N.L. 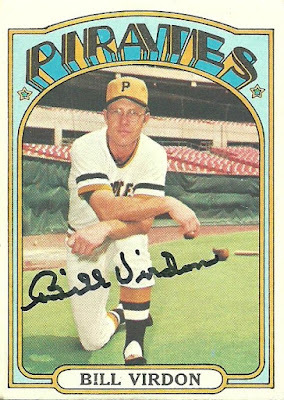 with 284 strikeouts. 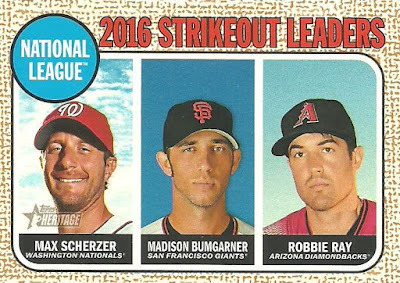 Jose Fernandez came in second with 253 k's, but Topps choose not to feature him. Not sure it it was out of respect or because they didn't have the rights to do so. Next up is Mad Bum with 251. Then it list Noah Syndergaard at 218 followed by Robbie Ray at 218. I wonder why Topps featured Ray over Syndergaard. I'm not complaining. 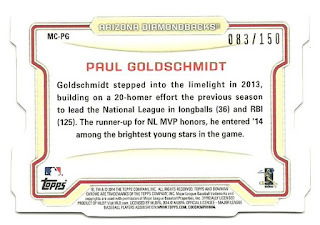 I love that a D-Back is featured on a League Leader card, but I do find it interesting. 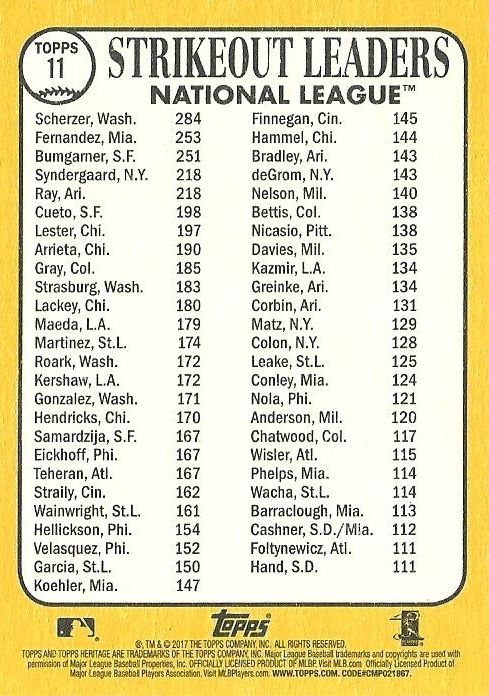 Syndergaard is obviously a much bigger name and plays in New York. 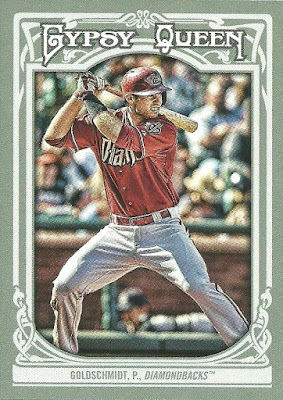 This card was sent to me by Chris, from the blog The Collector, along with a few other D-Backs cards from 2017 Topps Heritage. In fact, here's Robbie Ray's base card from the set which features a picture from a spring training photo shoot. You can see they cropped this photo for the League Leader card. Up next is another spring training shot of Chris Owings. 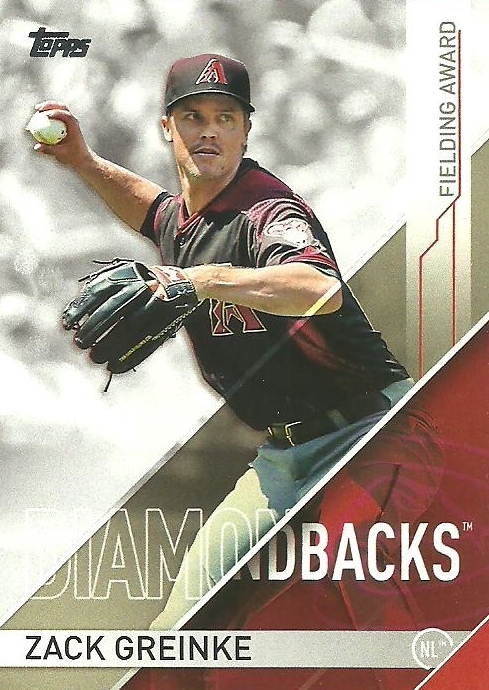 Weird to think that the photos on the 2017 Heritage cards are from 2016 spring training. 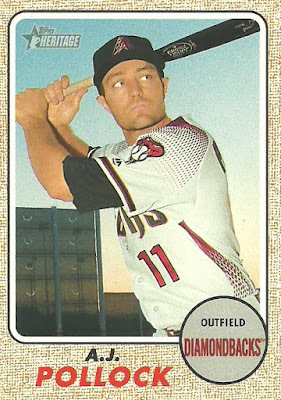 I hope A.J. 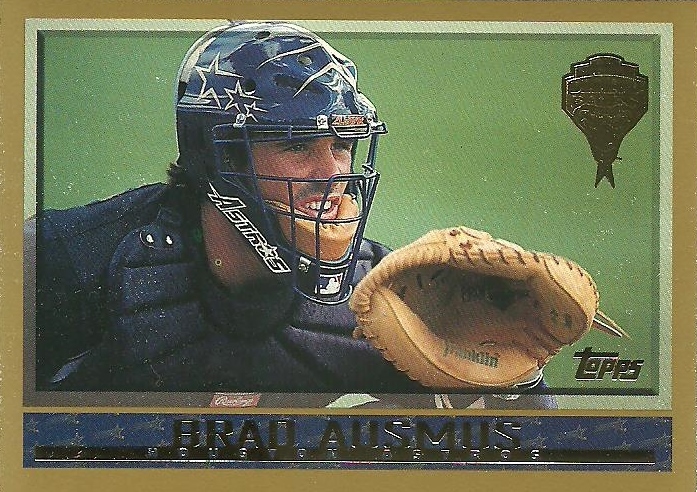 can remain healthy and get back to his All-Star form in 2017. Chris sent over a few other Diamondbacks cards as well. 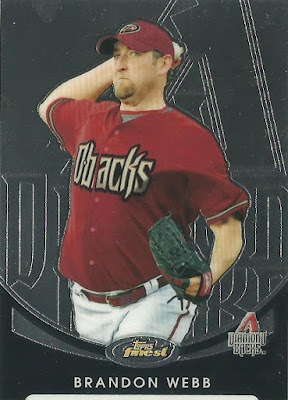 The best card of the bunch is this 2010 Finest card of Brandon Webb. This card is my 298th different Brandon Webb card. Today is Name Tag Day. Check out this 1993 SP card of Colorado Rockie catcher Joe Girardi wearing a name dag during the Rockies inaugural spring training. 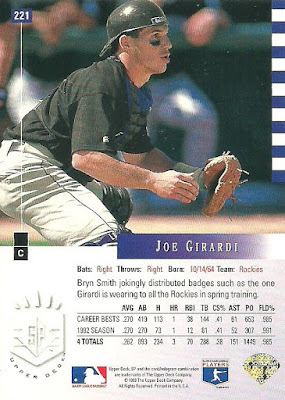 If you turn the card over you will discover that "Bryn Smith jokingly distributed badges such as the one Girardi is wearing to all the Rockies in spring training." Crap! It's a "badge", not a name tag. Not sure this counts for Name Tag Day. 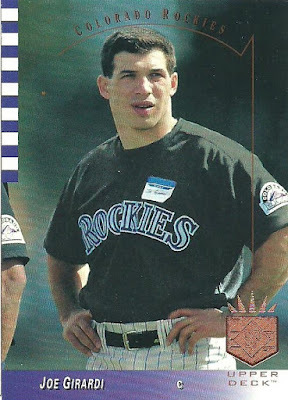 Any other cards out there featuring name tags or badges? I got two returns back this past week. This 2013 Allen & Ginter card of Boston Red Sox and Hall of Famer Bobby Doerr came back in about a month and a half. Doerr was born April 7, 1918. 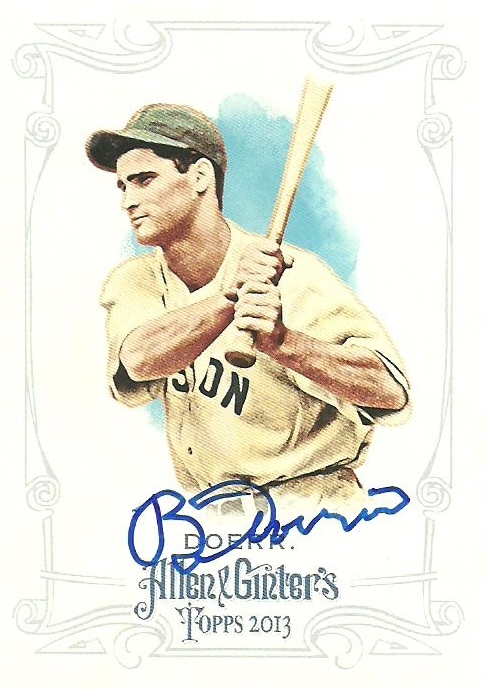 He will turn 99 years old next month and is currently the oldest living Major League baseball player. 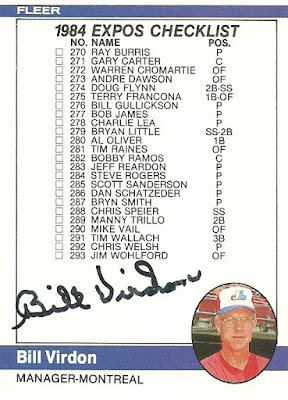 I also got a two card return from Bill Virdon. Virdon was the 1955 Rookie of the Year winner with the St. Louis Cardinals and won a World Series as a member of the 1960 Pittsburgh Pirates. He also managed 4 different clubs over a 13 year period (1972 - 1984), twice winning Manager of the Year. I didn't realize it until writing this post, but the two cards I sent are from his first year as a manager and his last. 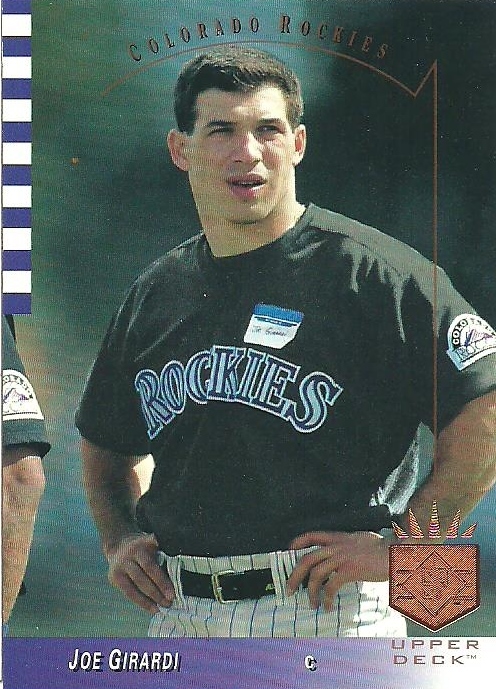 In a recent post I mentioned that I picked up a 1998 Topps Diamondbacks Inaugural partial set at my local card shop for $10. After going through the cards, there were three cards that I needed. After a bit of researching I decided ebay was my best option and I found the three cards I needed all from the same seller and at decent prices. 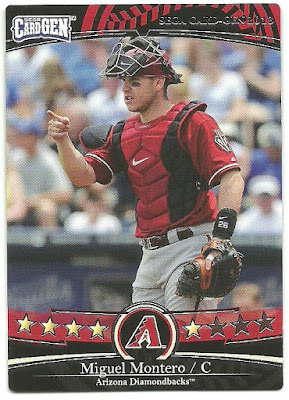 They were all Buy-It-Now, so I made the purchases on a Saturday and just a couple days later, Monday, the cards arrived in my mailbox. I found it interesting that the three cards that I needed were all horizontal cards. Other than that I couldn't find any other similarities or determine why they would have been missing. 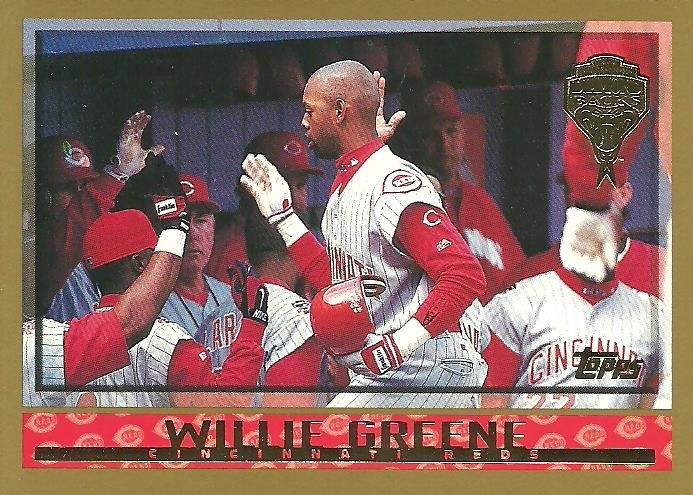 I don't know if you can tell, but the stamp on the Willie Greene card is from the Devil Rays Inaugural set. I contacted the seller and they apologized and sent me the correct card a few days later. 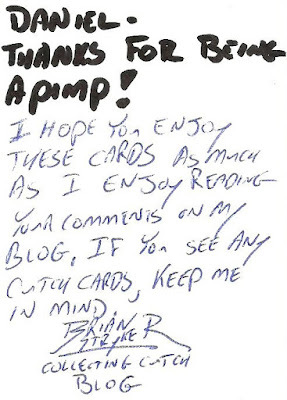 Robert, over at $30 a week habit, generously offered to send some cards to fellow bloggers from off their want list. The only requirement was a 100 word post. I wish Paul would smile more. Minis of players I collect are awesome! Otherwise they present storage problems for me. 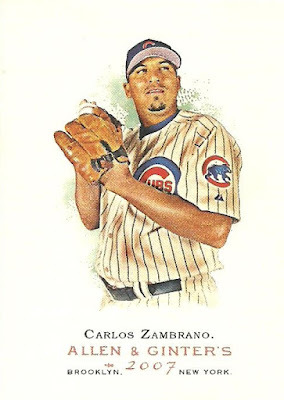 I hope someday Topps will end its monopoly on MLB cards. Robert surprised me with the numbered version of this Bowman Chrome die cut mini. Already have this one. Need the mini of the alternate version. 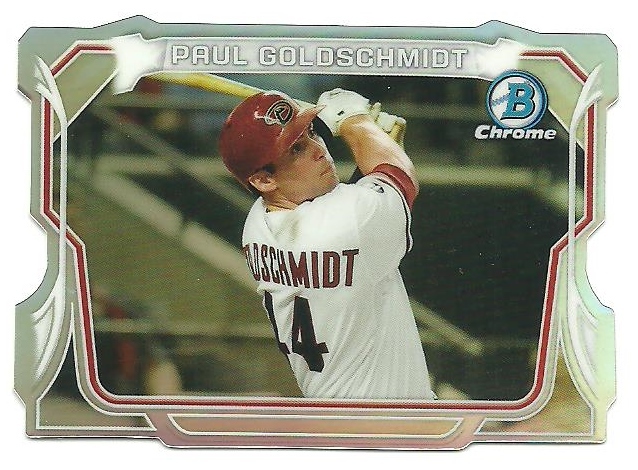 4 new Goldschmidt cards This makes 45 in 2017. Thanks Robert! Right at 100 words. 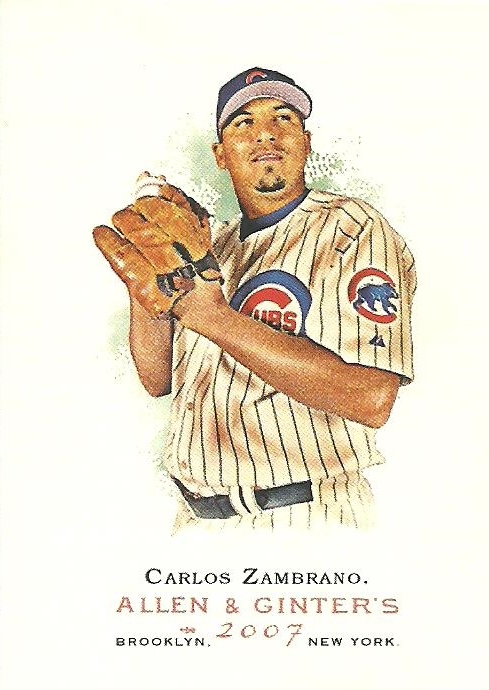 Check out the glove that Carlos Zambrano is sporting on this 2007 Allen & Ginter card. I'm not sure what time period that glove is from, but I think it's fitting that it's on an Allen & Ginter card since the set pays tribute to cards that were from the late 1800's. Here is the month of March from the Every Day's A Holiday calendar. Here is the day by day breakdown. Let's see how many cards I can add this month to my Every Days A Holiday card binder.